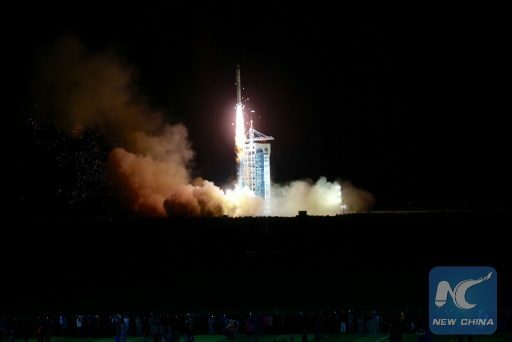 China’s Long March 2D rocket lifted off from the Jiuquan Satellite Launch Center at 17:38 UTC on Tuesday, carrying the Shijian-10 research satellite to orbit. Shijian-10 is set for a 15-day stay in Low Earth Orbit, performing 20 different scientific experiments before returning them to the ground for detailed analysis to deliver data on fluid dynamics, in-space combustion, materials science, physical mechanisms in microgravity and biology. 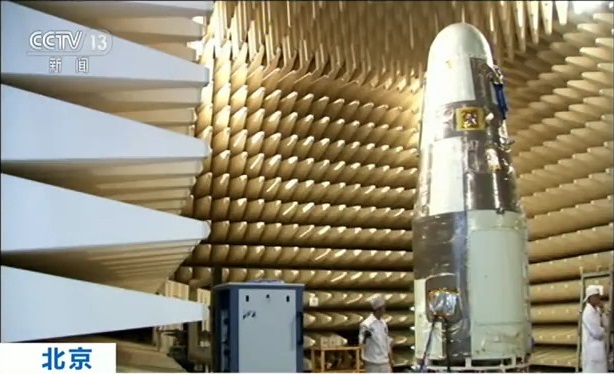 Shijian-10 is the second recoverable satellite flown under the Shijian Satellite Program that started back in 1971 with the launch of Shijian-1. The Shijian program, standing for ‘Practice’, is dedicated to a variety of missions for the demonstration of new technical systems for use on spacecraft as well as scientific missions such as Shijian-10. Over the years, a large number of Shijian satellites were launched into a variety of different orbits to test out satellite technology such as power-generation, thermal control and electric propulsion as well as innovative payloads including optical and infrared imagers, and space environment sensors. The Shijian program has led to several spinoffs – using technology first demonstrated by Shijian as the basis of their own satellite program such as the Ziyuan Earth Observation satellite fleet and Shijian was also used to test out new satellite buses. It is also believed that several military satellite programs find their roots in technology demonstrated on some of the more secretive Shijian missions. The Shijian-10 mission follows in the footsteps of the Shijian-8 flight of 2006, the first of a recoverable satellite as part of this program. Shijian-8 spent 15 days in orbit and completed a series of experiments, also exposing thousands of plant seeds to the space environment to study changes caused as the result of the microgravity and radiation environment. 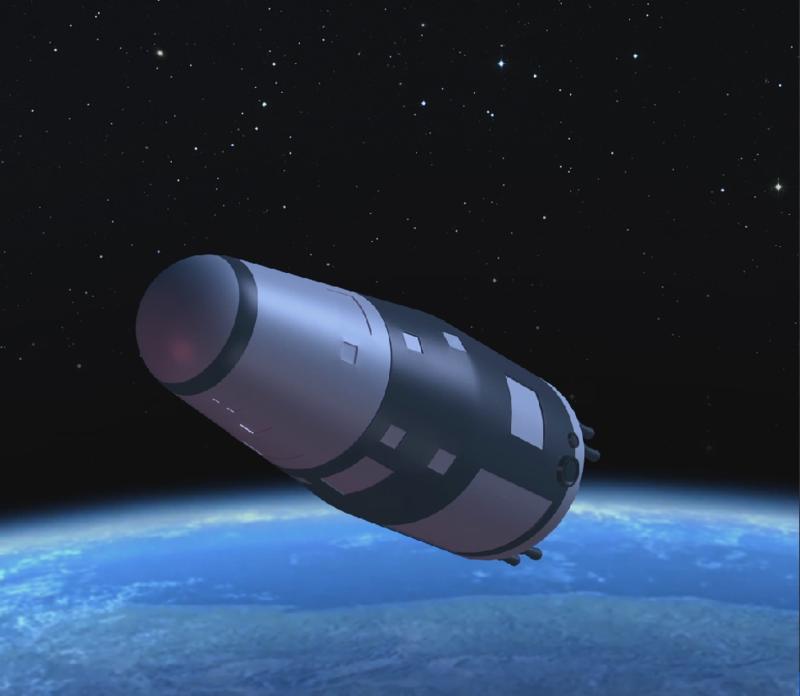 After Shijian-8 returned successfully, plans for SJ-10 were made to launch a second recoverable mission within a few years time. However, even before entering its engineering phase, Shijian-10 was put on ice. 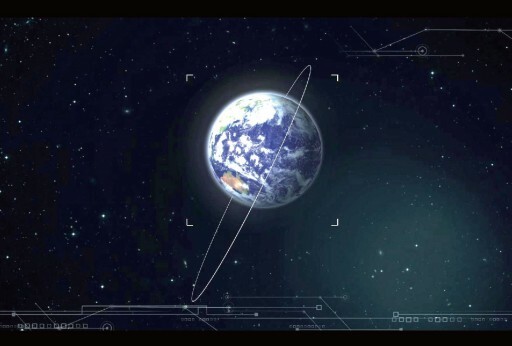 The project was revived in 2011 when the Chinese space research program was re-structured and the China Academy of Sciences was handed authority over scientific missions. Re-started in 2011 to head into its engineering development phase, the mission initially aimed for liftoff in 2015 but various delays ultimately pushed the launch into 2016. The Shijian-10 spacecraft represents an improved version of the craft flown on SJ-8 with modified systems and a greater payload capacity. The vehicle weighs in at 3,600 Kilograms and hosts a payload of up to 600kg. Power-generation is accomplished with batteries alone and no active attitude control will be employed for most of the flight to avoid the pristine microgravity environment being disturbed by thruster firings. Deorbit is accomplished with a solid-fueled retrorocket and Shijian-10 lands under parachute to be recovered shortly after touchdown. The Recoverable Satellite bus is based on the FSW satellite platform developed in the 1960s and 70s, starting as a film-return vehicle to gather imagery of Earth for use by the military and the civilian sector. FSW was also once envisioned to become China’s first crewed capsule design, but these plans were ultimately abandoned given the vehicle’s rather rough re-entry profile. FSW went through a number of generations over the years and was first used as a recoverable science platform in 1987 when it demonstrated it could provide a very stable microgravity environment to experiments. Shijian-8 and 10 use improved FSW vehicles with upgraded flight controls and a new re-entry system to reduce forces occurring during the entry process while also increasing landing accuracy. Packed inside the Shijian-10 satellite are 20 different experiments of various scientific areas – six fluid physics experiments, four combustion studies, eight material science investigations, three radiation experiments, three gravitational biology studies and four biotechnology payloads. Selected from over 200 proposals, the experiments on board the satellite come from six Chinese Universities and collaborations with the European Space Agency and Japan Aerospace Exploration Agency. Experiments aboard the Shijian-10 spacecraft study the fundamental mechanisms of evaporation in microgravity, fluid dynamics in convection, heat transfer in boiling processes and the assembly of colloidal structures in the absence of gravity. Combustion science was recently highlighted by the launch of the SAFFIRE experiment on the Cygnus OA-6 spacecraft to become the first study to look at large-scale burning processes in space. 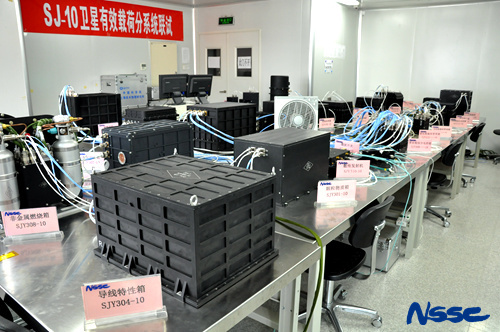 Shijian-10 hosts three different combustion studies, examining how insulation on wires under load may heat up and ignite, studying coal fire characteristics in an ideal buoyant environment and experimenting with thick fuels to look at their combustion properties and oxygen consumption. 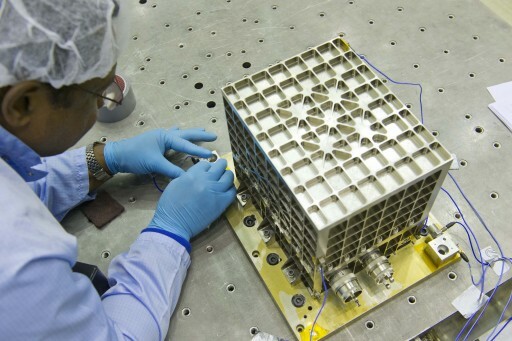 Materials science hosted aboard SJ-10 includes an experiment facility running eight different experiments to generate very pristine metal materials with very little defects in the unique microgravity environment. This will allow scientists to study the microstructure of the materials to develop improvements for terrestrial manufacturing techniques and come up with new applications for novel metal alloys. The ESA study aboard the spacecraft is comprised of six cylinders containing crude oil samples pressurized to 400 atmospheres and heated on one end and cooled on the other to look at a diffusion process ongoing in Earth’s oil reservoirs. Due to a variation in pressure and temperature with increasing depth, petroleum compounds in large oil reservoirs tend to separate. The experiment will allow this diffusion process to occur on a small scale and separated compounds will be trapped before return to Earth to provide insights into mechanisms occurring at a much larger scale deep below the ground. A number of biological experiments aboard the Shijian-10 mission study changes to DNA and gene characteristics as a result of the space environment, in particular the radiation background found in Low Earth Orbit. The effects of microgravity on plant signaling are examined by one study to reveal why plants flower later when in space and another study exposes mammalian cells to microgravity to explore whether animal cells can sense gravitational changes and what cell-to-cell communications occur in changing gravitational situations. Shijian-10 also carries mouse embryos to study whether mammalian reproductive systems work in space and whether the early embryonal development stages are possible in the microgravity environment. Only a few studies of this type have been performed to date given their potential controversial nature. Shijian-10 used a two-stage Long March 2D launch vehicle capable of launching payloads up to 3,500 Kilograms into orbit. Because SJ-10 did not need a payload fairing given it is designed to withstand extreme thermal and aerodynamic environments, the performance of CZ-2D was increased sufficiently to lift the 3,600kg satellite to orbit. The CZ-2D Launcher was developed by the Shanghai Academy of Spaceflight Technology and uses a first stage identical to that of the Long March 4 series while the second stage features a modified equipment bay design. The 2D configuration flew for the first time in 1992 and has so far kept a perfect record. The Launcher stands 41.06 meters tall, has a diameter of 3.35 meters and a liftoff mass of 232,255 Kilograms. For the first 170 seconds of Flight, the vehicle is powered by its first stage that is equipped with a YF-21C Engine providing a thrust of 2,962 Kilonewtons. The stage is 27.91 meters long, 3.35 meters in diameter and filled with 183,200 Kilograms of Unsymmetrical Dimethylhydrazine and Nitrogen Tetroxide Propellants for a total weight of the first stage at launch around 192,700kg. 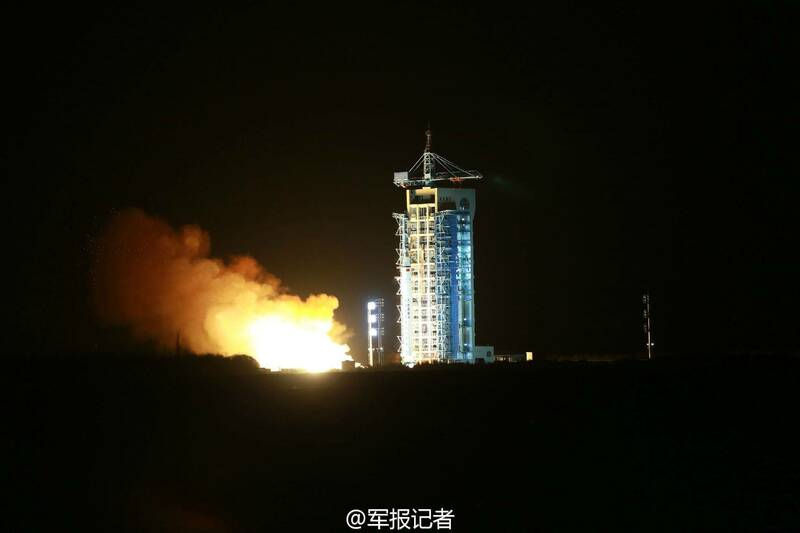 The upper Stage is 10.9 meters in length and has the standard CZ-2D diameter, weighing 45,600kg at liftoff. A total of 39,550 Kilograms of hypergolic propellants are aboard its tanks at blastoff for consumption by a 742kN YF-24C main engine and a 41.1kN vernier engine. The Jiuquan Satellite Launch Center which is also known as Shuang Cheng Tze launch center was China’s first launch facility being established in 1958. It is located in the Gobi Desert about 1,600 Kilometers from Beijing and hosts launches of China’s crewed space program as well as a variety of satellite launches by the Long March rocket fleet.